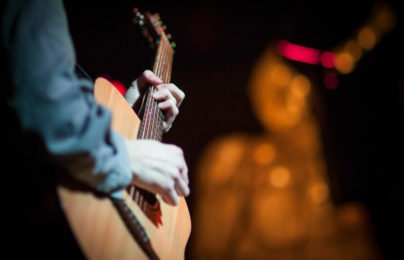 Typical format: An assembly performance followed by several hour-long workshops throughout the day, leading to a larger group performance later. 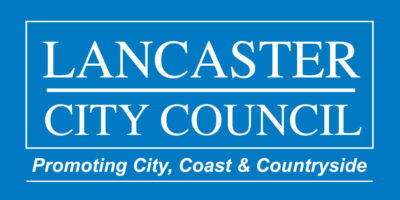 These workshops draw from our ever-strengthening relationship with the Chinese community in Morecambe and our development work in China. 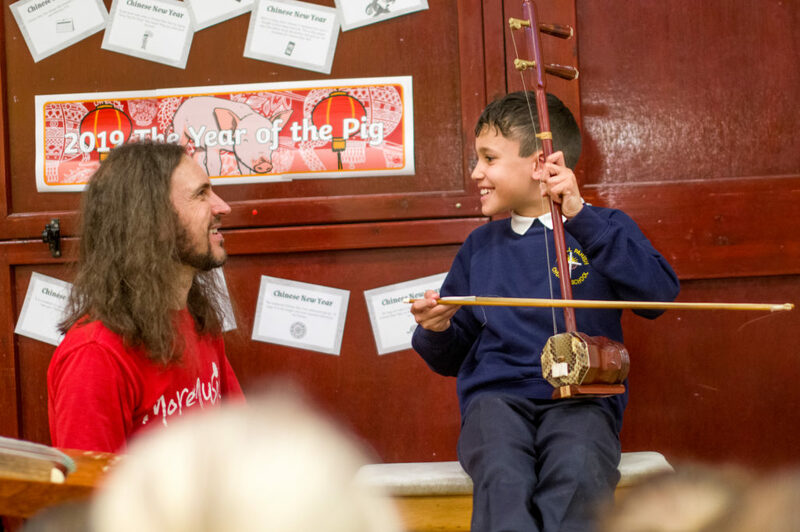 We have a fantastic collection of authentic Chinese instruments and the expertise to show children and young people how to play them. 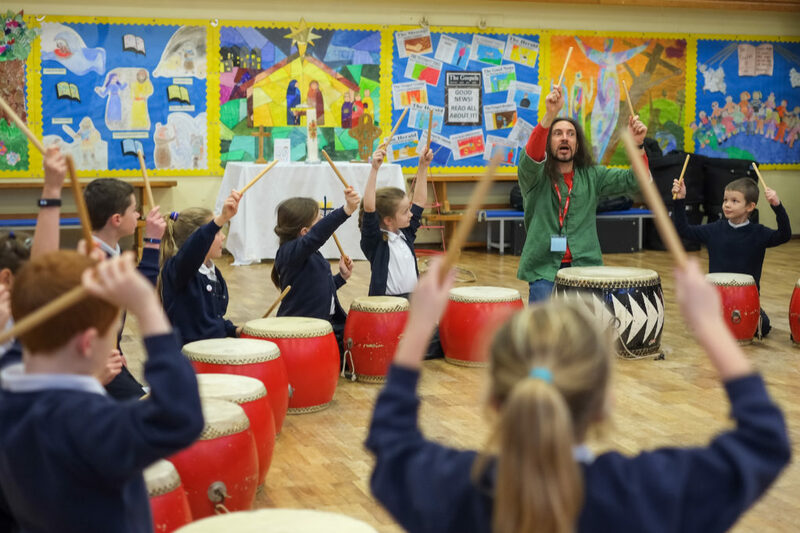 Your pupils or participants will learn about music from a different culture, finding out how it is made and about the country it comes from. These sessions are ideal for around Chinese New Year (which usually falls in late January-early February) however you can book them to take place whenever you choose. As well as Chinese instruments, we have a Chinese dragon that we can bring to you for your very own parade. 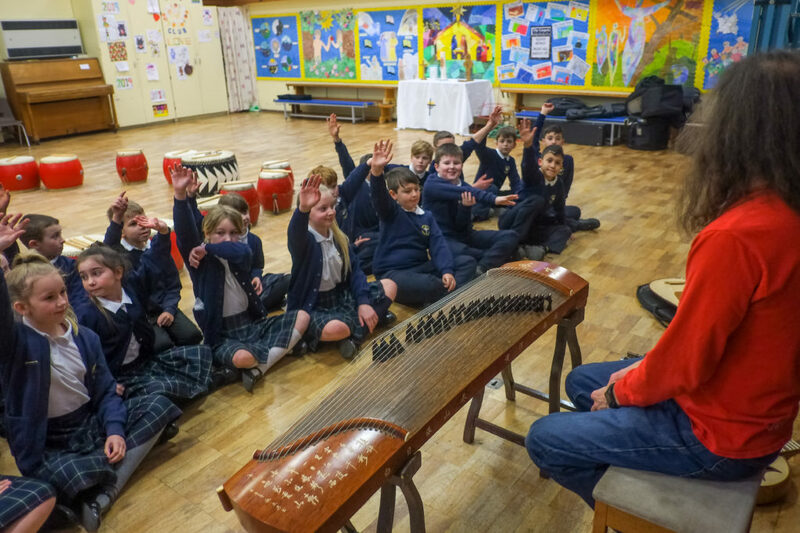 Here’s a video of our Long Walk Chinese Ensemble, using many of the instruments that we can bring to your school. 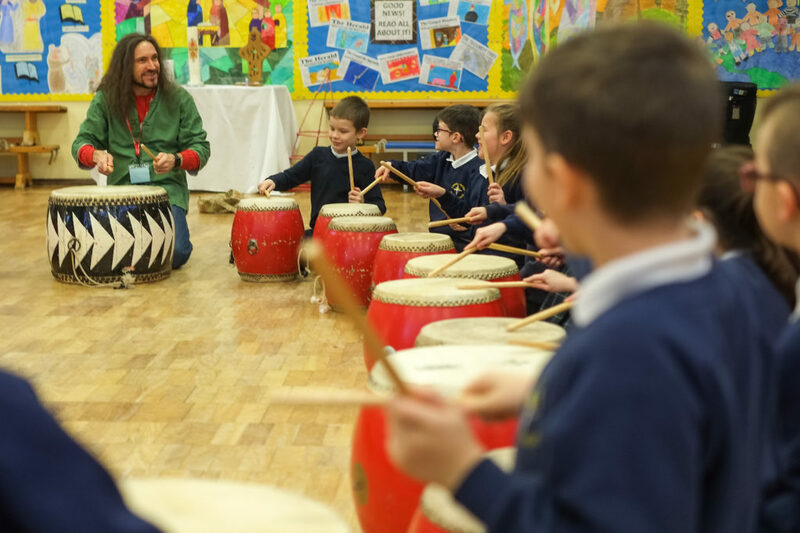 Dragon Dancing – An amazing experience for little ones to watch and aimed at older groups (KS2 onwards) due to the weight of the dragon. 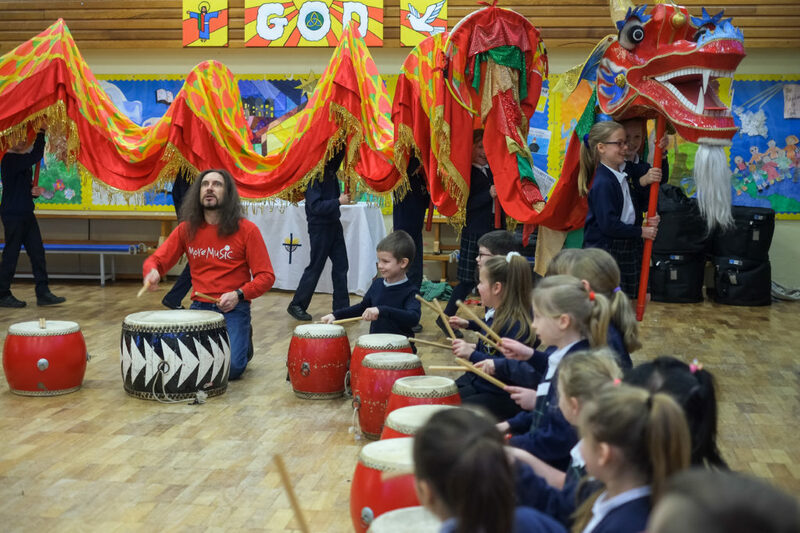 Pupils can play the different parts of the dragon and learn their significance in Chinese culture. 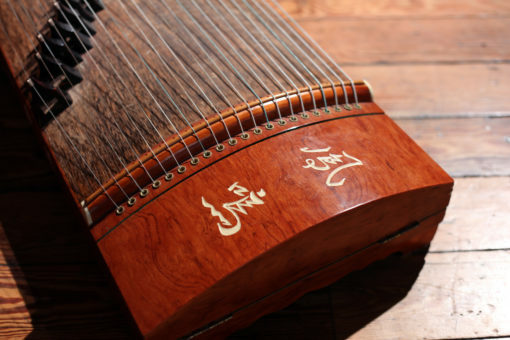 Chinese Musicmaking – These workshops are all about trying out Chinese musical instruments, such as the Ruan (moon guitar) and ‘Dizi’ (flute), as the ‘exotic’ sounds provide great stimuli for the imagination and discussions around cultural differences and similarities. 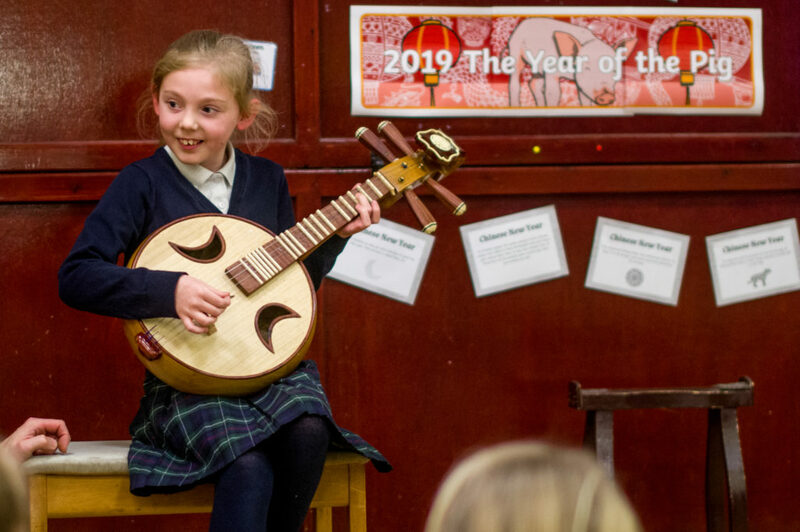 Chinese Singing – An interactive session that requires no existing musical skills, we introduce traditional and popular Chinese songs, translating the lyrics so pupils can see the differences between how Chinese and English songs are formed. 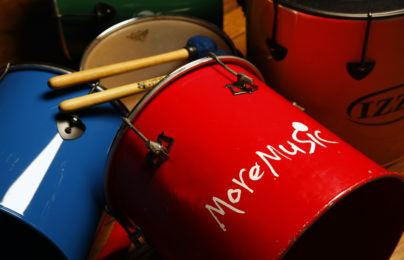 Email learning@moremusic.org.uk for more information and to book this workshop.